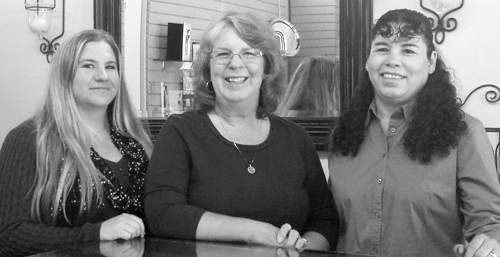 Palmgren's Engravables & The Petaluma Store | One historic building, two great stores! One Historic Building, Two Great Stores! 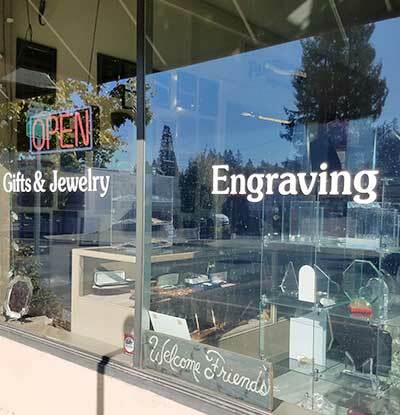 Palmgren’s Engravables was opened in 1986 by long-time Petaluma resident Ruth Palmgren. The store is neatly organized and carries a variety of items, including trophies and awards, gifts and jewelry. Customers can purchase an item in the store or bring an item in and have it custom engraved on site by experienced staff. e engrave on metal, wood, glass, leather, plastic, stone and acrylic. The Petaluma Store was opened in 2011 and we feature local artists and one-of-a-kind handmade items. We have wonderful gifts to choose from consisting of beautiful fused glass, pottery, original art & photography, quilts, scarves and Petaluma souvenirs. All of our work comes with a 100% money-back guarantee. 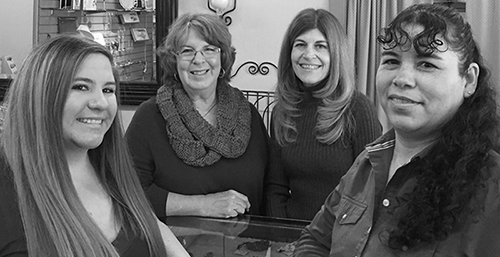 Ruth Palmgren, a long-time resident of Petaluma is the owner of Palmgren’s Engravables. Since 1986, the store has offered a wide variety of awards and gifts that can be personalized. You can also bring in your own items to be engraved by our friendly, knowledgeable staff. They can help you select the perfect gift for any occasion. Ensuring customer satisfaction and a delighted recipient is their priority. The Petaluma Store opened in 2011. It features great Petaluma souvenirs along with original, hand-crafted work in textiles, ceramics, glass, metal, wood and painting by local artists and artisans. You’ll find chickens and cows and tie dye plus so much more on your visit. To provide courteous, honest and time-efficient customer service. Expert laser and computerized engraving on jewelry, metal (brass, stainless steel, aluminum, copper), glass, acrylic, stone (granite, marble), wood, leather & acrylic.